How good it is that more people now are interested on improving their health, wellness and lifestyle? I find it amazing that people become more involved in such activities. I go to the gym regularly to keep a healthy and toned body with proper workout. I've tried Zumba, TRX, Circuit training and a lot to maintain a fit body. I've always wanted to try Yoga though. It looks relaxing, peaceful and something different to the activities that I've just mentioned which includes strenuous movements. 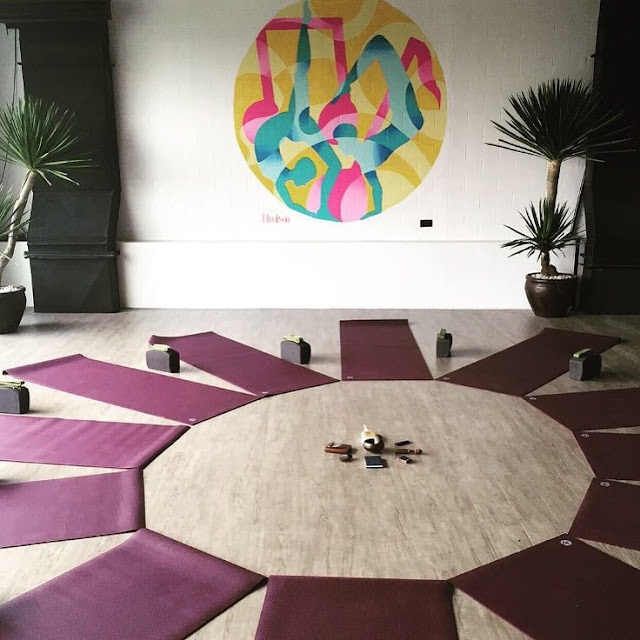 So I've discovered this new Yoga place in town that not just offers Yoga but appreciates art, food and music as well. Life Yoga Center focuses on the holistic nature of Yoga and maintains a welcoming atmosphere by featuring every facet of our lifestyle. Last Sunday, I attended their Karma Class. 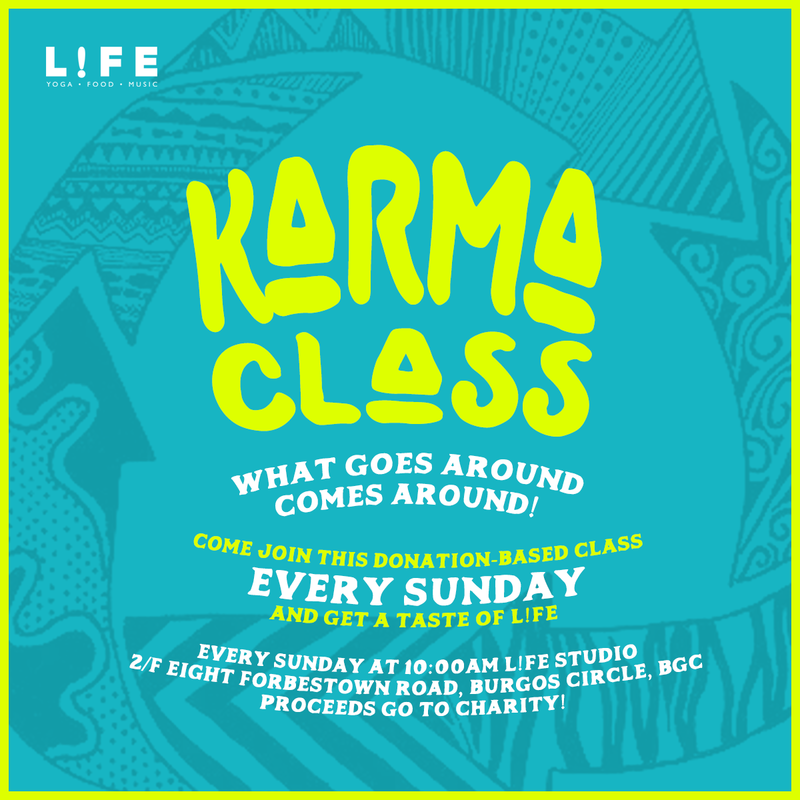 A donation-based class every Sunday that proceeds go to charity. 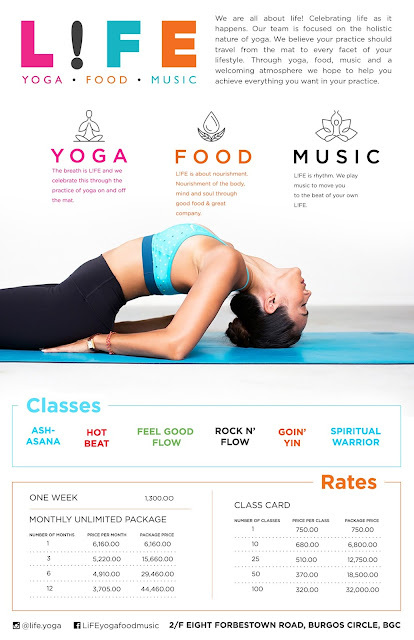 It's good that people still find a way to help through different aspects such as Yoga. When I came to the place, I was in awe. 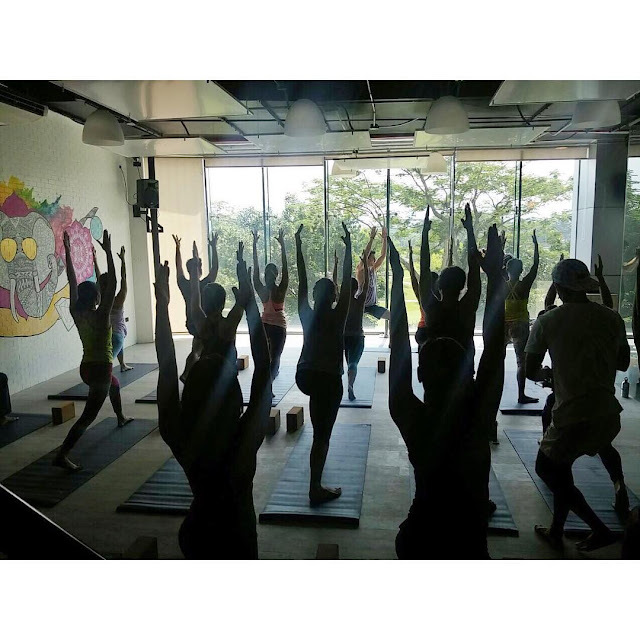 The view from the glass windows, the silent and relaxing music really builds up the environment for wellness. I've always thought Yoga is easy but now I know that it's not hehe. It requires a lot of stretching, twisting in the most complex of ways. But besides stretching and twisting, I felt that it gives so much relaxation to the mind and soul. Every move requires a deep inhale and exhale that lets your body feel every movement. I felt very relaxed after this Yoga class. Isn't this a wonderful view to see while doing Yoga? I felt very close to nature. As what I've mentioned earlier, they also offer food and good music. They have Vibe Cafe inside the studio. I love how this place appreciates art because as an art major, I felt really welcome in this place. Went to Karma Class with fellow bloggers Aldous, Lina and Shelley. Whoever said that Yoga is just for women, he/she is totally wrong! Yoga is for dudes too! 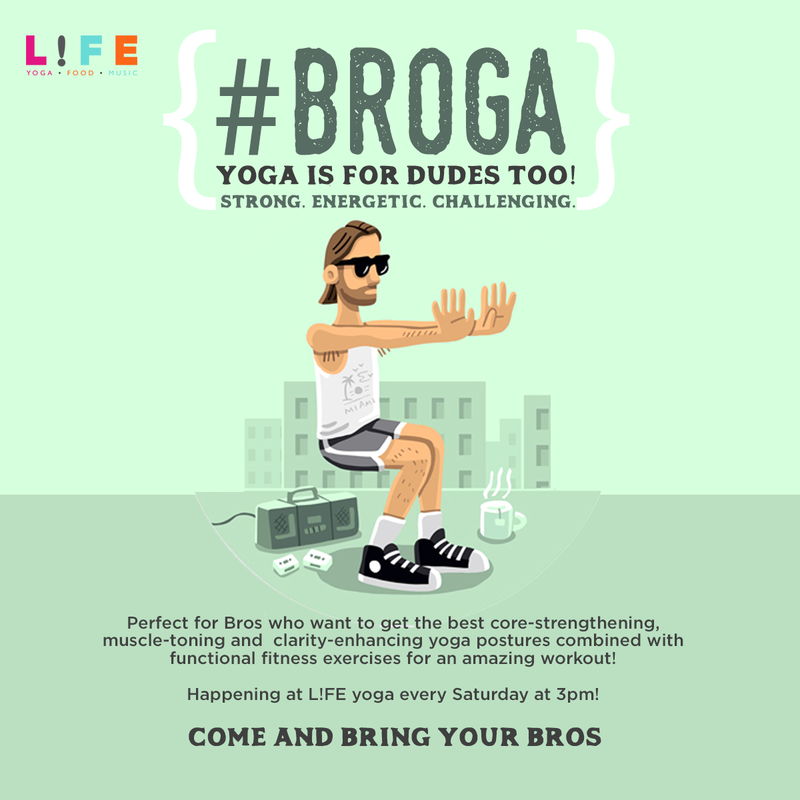 Check out Life's BROGA. Perfect for the dudes for their core-strengthening and muscle-toning. Every Saturday at 3pm. Thank you L!FE for this wonderful Yoga experience! Will definitely come back! 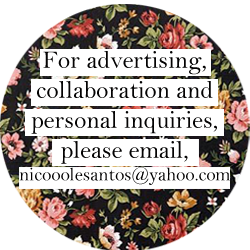 L!FE is located at 2/F Eight Forbestown Road, Burgos Circle, BGC.